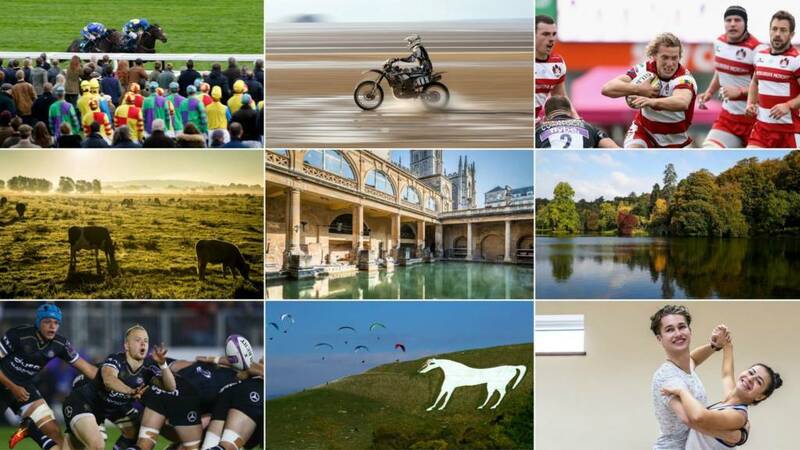 Listen live to your BBC local radio stations in Bristol, Gloucestershire, Somerset and Wiltshire. M5 Somerset - One lane closed on M5 southbound between J24, A38 (Bridgwater South) and J25, A358 (Taunton), because of a broken down coach. We'll be back again tomorrow morning at 7am. Here's Ian Fergusson to take you through the weather for the next 24-hours. Video caption: Watch: Inside Kwik Save, Gloucester, before it's demolished for affordable housing.Watch: Inside Kwik Save, Gloucester, before it's demolished for affordable housing. Here's a trip down memory lane for the people of Gloucester. The former Kwik Save store is being demolished and we've been invited in for a last look round. For those with longer memories - it used to be the St Aldate Garage. Video caption: The England rugby coach trains a local side in Bathford after they won a competition.The England rugby coach trains a local side in Bathford after they won a competition. The man who led the England team from the disaster of the 2015 World Cup, to winning 18 matches in a row, was training a local side in Bathford today after they won a competition. Here are his tips on how the team could improve. It's good news for musician Stephen Sykes from Shepton Mallet. His fundraising appeal for a new type of cancer drug has beaten its £90,000 target. Stephen has been diagnosed with Hodgkins Lymphoma, and after six rounds of chemotherapy he was told this drug may be his only chance to reduce his cancer enough for a stem cell transplant. When Stephen was diagnosed, his family started the 'Swab4Sykes' appeal, inviting new donors to join the stem cell register. The death of a soldier who collided with a colleague during a parachute exercise at a training centre has been ruled as an accident. L/Cpl Ali Woodford, 26, died in 2015 in Germany after his reserve parachute failed to deploy fully in time. The inquest heard L/Cpl Woodford and the unnamed private had been put on a "collision course" by instructors after the wind changed direction. The coroner said the accident was "potentially avoidable". Video caption: Watch: Linda Prosser from NHS England South West says work pressure is to blame.Watch: Linda Prosser from NHS England South West says work pressure is to blame. Want to hear more about the big issues in sport? Join Richard Dawson (head coach, Gloucestershire CC), Sarah Hunter (Bristol Ladies Rugby), Peter Trego (Somerset CC), Annie Heatherson (Yeovil Town Ladies) and Greg Streete (Bristol Flyers) are live at the BBC Radio Bristol and BBC Radio Somerset Sports Forum with presenter Geoff Twentyman. M48 Gloucestershire westbound severe accident, between J1 for A403 and J2 for A466 Wye Valley Link Road. M48 Gloucestershire - One lane closed and slow traffic on M48 westbound between J1, A403 (Aust) and J2, A466 (Chepstow), because of an accident involving motorbike. He's the straight-talking Aussie who's turned round the fortunes of England Rugby. But tonight - for one night only - Eddie Jones is coaching an amateur team near Bath. One of Avonvale's players entered a competition last year where the top prize was to have the England head coach take training - and he won. So, this evening Eddie has swapped Twickenham for Bathford. Points West Sports Editor Alistair Durden snatched a quick chat with him. The Oceans 7 challenge is like the swimming equivalent of climbing some of the world's highest mountains. It challenges swimmers to swim in all seven oceans of the world. Only six people have ever completed the challenge in their lifetime. Now Wellington's Beth French wants to be the first person to do them all in a year. She's half way through her challenge, we went to catch up with her in training. A report from Her Majesty's Inspector of Constabulary says the force needs to improve its approach to crime prevention, anti-social behaviour and protection for vulnerable people. It also says it's deeply concerned it lacks the fundamental arrangements to tackle organised crime. But Chris Brierley, Deputy Police and Crime Commissioner for Gloucestershire Police, says the picture is not as bad as has been painted. The Avon and Somerset and Wiltshire Police forces were rated as 'good' in the three main inspection categories. A4 Bristol both ways severe disruption, at A4176 Bridge Valley Road affecting A3029 Brunel Way. A4 Bristol - A4 Portway in Clifton blocked and queuing traffic in both directions at the A4176 Bridge Valley Road junction, because of a police incident. Congestion to the A3029 Brunel Way junction. While Her Majesty’s Inspector of Constabulary, Wendy Williams, was satisfied with parts of Gloucestershire Police’s overall performance, she identified several areas of serious concern as part of the 2016 HM Inspector of Constabulary Force Assessment. She says that the force needs to improve its approach to preventing crime and anti-social behaviour, its investigative standards, and the protection it provides to vulnerable people. "It lacks fundamental arrangements for tackling serious and organised crime and this must be addressed urgently," says Wendy Williams. "Although some improvements have been made in response to previous recommendations by HMIC, progress in other areas has been slow, and some aspects of the force’s position has declined." Travellers on the Great Western Railway's (GWR) Severn Beach line will soon be able to use smart cards as part of a trial project taking place in Bristol. The planned scheme will allow people to add weekly, monthly and annual tickets to an electronic swipe card, similar to London's Oyster card. Although only longer train journeys will be permitted at first, GWR's owner, First, hopes to eventually include buses in the scheme. Before the smartcards start in May, GWR will install platform validators at all the Severn Beach Line stations, as well as improving ticket gates at Temple Meads station. Integrated transport options in Bristol have been discussed by the West of England Mayoral candidates. A436 Gloucestershire both ways severe accident, near A435. A436 Gloucestershire - A436 in Seven Springs blocked and very slow traffic in both directions near Seven Springs Inn, because of an accident. Morph is turning 40 this year and as part of the celebrations street art and graffiti festival, Upfest, has partnered with Aardman to create the above portrait of the much-loved character. The mural, designed by Bristol graffiti artist CHEO, will be sprayed live at the festival on the 29–31 July. I’m so happy that Morph will be taking part in Upfest this year – it’s a fantastic local event celebrating the creativity at the heart of Bristol. And I love CHEO’s version of Morph, it fits so well with his artistic and mischievous nature!